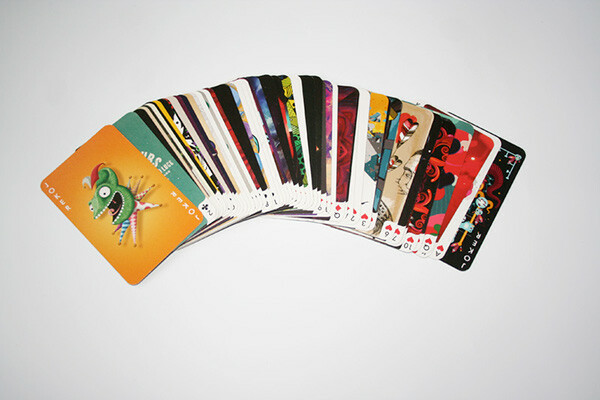 Creative Cards are a deck of 54 unique playing cards. 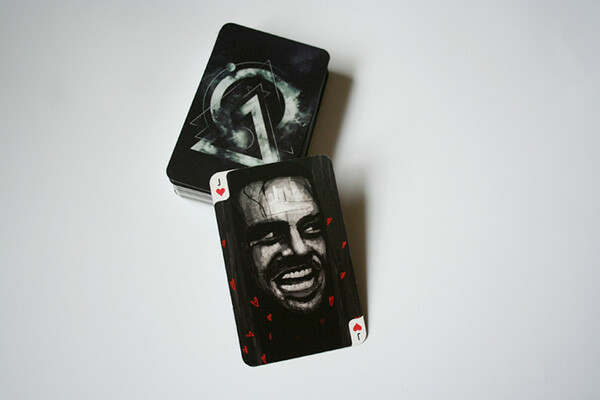 Artists and illustrators pick a card each and design it in their own style. 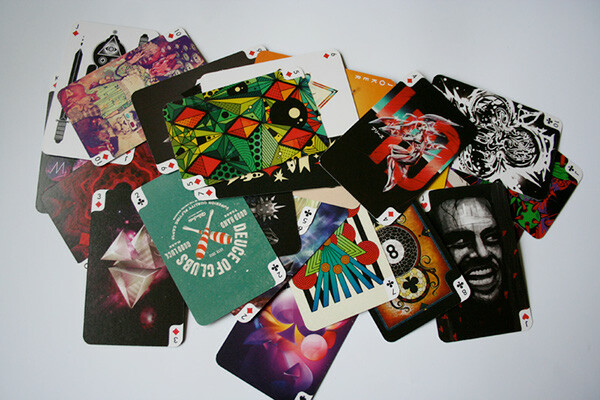 When all designs are submitted, the deck is printed in a strictly limited number of copies, which are distributed between the members of the project. 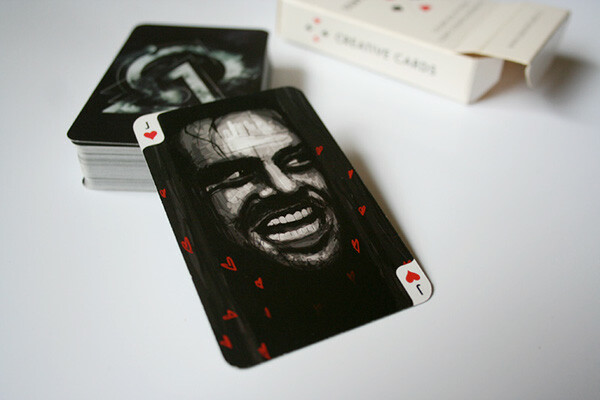 I was fortunate enough to be asked to participate in the Creative Cards project and chose to design Jack of Hearts. 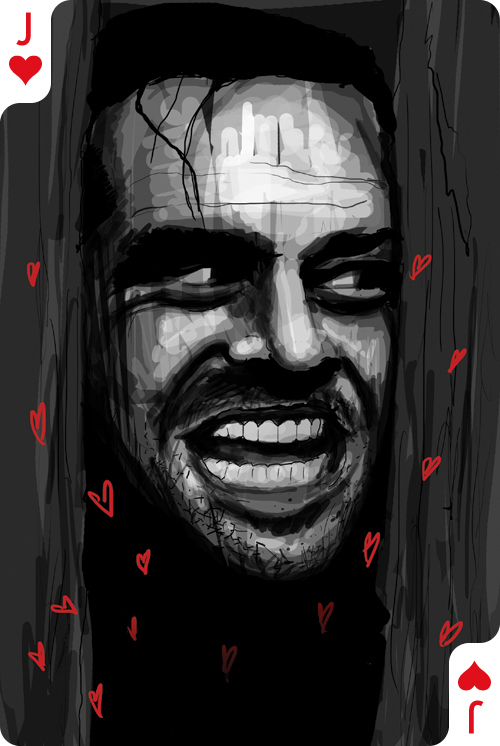 I took inspiration from one of my favourite movies, The Shining, in particular its lead character Jack Torrance and put an ironic spin on the image.